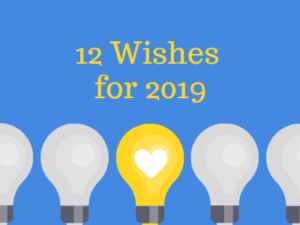 KAIROS celebrates exciting progress with its 2018 advocacy wish list, and you’ll find more information following the 2019 listing, but more needs to be done. Bill C-262, an Act to ensure that the laws of Canada are in harmony with the United Nations Declaration on the Rights of Indigenous Peoples, which passed through the House of Commons in 2018 and is now before the Senate, kicks off our first wish for 2019…. Full implementation of TRC Call to Action 62.i that urges the provinces and territories to make mandatory from Kindergarten to grade 12 curriculum on the Treaties, residential schools, and the historical and contemporary contributions to Canada of First Nations, Inuit and Métis peoples. There can be no backsliding. Fully implements TRC Call to Action 93, which calls on the government, in collaboration with national Indigenous organizations, to revise the information kit for newcomers to Canada and its citizenship test to reflect a more inclusive history of the diverse Indigenous peoples of Canada, including information about the Treaties and the history of residential schools. Ensures that the proposed new impact assessment system respects Indigenous peoples’ right to free, prior, and informed consent and other principles in the United Declaration on the Rights of Indigenous peoples. Reassesses the impact of fossil fuel development projects (such as pipelines, liquefied natural gas export terminals, fracking wells, and oil and gas mines) on Canada’s ability to fulfill its commitment to tackle climate change and limit global warming to 1.5°C. And, ramps up its investments to transition the economy to clean energy and to provide support for affected workers and communities. Announces the end of temporary migration and returns to permanent residency as a way of strengthening the country, including meeting labour market demands. Immediately ends long delays in processing permanent residency applications for migrant caregivers, provides open work permits to all migrant workers, and grants them permanent residence and access to support services in Canada. 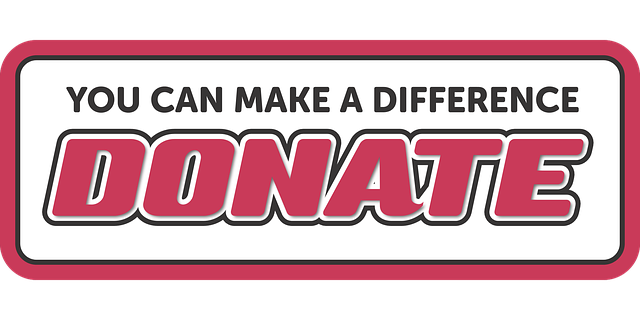 Help KAIROS make these wishes come true. Signs and ratifies the International Convention on the Protection of the Rights of All Migrant Workers and Members of Their Families. Appoints and funds a qualified Canadian Ombudsperson for Responsible Enterprise (CORE) as with the power and independence to investigate human and ecological rights violations by Canadian corporations, address the specific impacts of resource extraction on women, and consider the unique perspectives of Indigenous women. Adopts and fully implements a legal framework that requires resource extraction corporations to engage women as stakeholders in consultation and consent processes, and that guarantees that communities directly affected by the project will determine if and how the project will move forward. Facilitates access to Canadian courts for overseas plaintiffs who claim harm by the actions of Canadian mining companies. Fully funds and implements the Feminist International Assistance Policy (FIAP), focusing its support on grassroots organizations and diverse, responsive funding mechanisms that allow for effective long-term support for civil society partners; and, increases its foreign aid from 0.26 percent of gross national income to 0.7 percent through a timetable of predictable annual increases of 15 percent to the International Assistance Envelope over 10 years. Complies with United Nations Security Council Resolution 1325 on women, peace and security, and subsequent similar resolutions in the implementation of its new National Action Plan on Women, Peace and Security in the context of FIAP. With the release of KAIROS’ updated Education for Reconciliation Report Card, we applaud provinces and territories that saw improvement – some significantly so – in implementing the Truth and Reconciliation Commission (TRC) of Canada’s Call to Action 62.i. We continue to seek further progress and remain watchful about possible reversals, especially in Ontario. We were encouraged when the Canadian and Argentinian governments announced in June that they will conduct peer reviews to ensure both countries are on track to phase out inefficient fossil fuel subsidies. In 2016, Canada committed to phasing out these subsidies by 2025. This hopeful development was marred, however, when the Canadian government bought the Kinder Morgan pipeline and loaned the oil sector $1.65 billion. We were also encouraged in January when the Minister of International Trade announced the creation of the Canadian Ombudsperson for Responsible Business Enterprise, billed as the first of its kind in the world, but we are discouraged by the fact that almost one year later no one has been appointed to the position.